Complaints about bogus calls to voters in many ridings during the 2011 federal election are under investigation by Elections Canada. We identify some of the major players in this unfolding story. Complaints about bogus calls to voters during the 2011 federal election are under investigation by Elections Canada. On Feb. 27 the House of Commons passed a unanimous resolution calling on its members to provide Elections Canada and the RCMP "with any and all information they have on voter suppression and illegal phoning during the last election." The stories began on election day (see sidebar), but took off last week with a report by Stephen Maher of Postmedia News and the Ottawa Citizen's Glen McGregor that revealed some of the findings of an ongoing Elections Canada investigation. The investigation named a firm from which automatic phone calls — robocalls — to voters in Guelph had been traced. It also said that fraudulent calls had been made to voters in at least 18 ridings. By Feb. 27, opposition parties had identified at least 40 ridings where voters received suspicious calls and the issue became the subject of intense debate during Question Period. Here's a look at some of the names that have been mentioned in news stories and in the House of Commons since the controversy erupted last week. 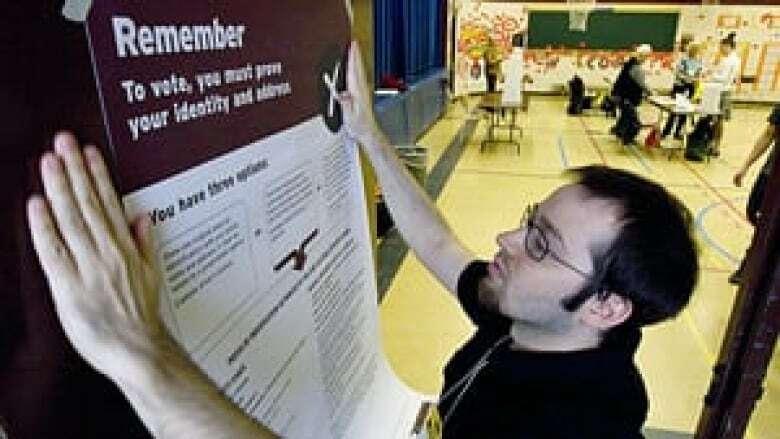 On May 2, 2011, election day, CBC News reported that Elections Canada was warning voters not to trust calls telling them to go to different polling stations and that the agency said it does not make such calls to voters. Frank Valeriote, the Liberal candidate in Guelph, Ont., was among the first to raise the issue of robocalls, putting out a statement that his campaign had received calls from voters about the bogus messages. Reports of other telephone dirty tricks during the election campaign, including hoax calls and harassing calls falsely claiming to be from a candidate's campaign, had already surfaced. The week after the election, CBC News identified the phone number that the calls in Guelph came from — a Quebec number, 450-760-7746. When reporters called the number, an automated greeting said, "Pierre (inaudible). Uh oh. There's no room to record messages. Please hang up and try your call again later. Bye." Court documents show the number originally used to contact RackNine, the company whose system was used to make the calls, was activated two days before the vote. According to the documents, Bell Canada records "identified the phone 450-760-7746 subscriber as Pierre Poutine of Separatist Street, Joliette, Que." "Pierre's Poutine" happens to be the name of a restaurant in Guelph. Edmonton-based RackNine Inc. provides web-hosting and automated-calling services. RackNine CEO Matt Meier issued a statement on Feb. 24, saying "some party had used our services to try and disrupt voting." Meier said the company was co-operating with the Elections Canada investigation. "RackNine does not monitor outgoing calls made by customers through the automated service," his statement said. "We just provide the software and hardware platforms." A RackNine client could have uploaded the audio message and the phone numbers for the robocalls without necessarily going through a RackNine employee. During the 2011 election campaign, RackNine did work for the Conservatives' national campaign and at least 12 of the party's constituency campaigns, including that of Stephen Harper. Three former RMG employees told The Toronto Star that they worked on Conservative Party voter identification and get-out-the-vote calls. They said they made live calls to numbers in ridings across Canada about changes in voting locations, locations that the employees said "made no sense." On CBC Radio's As it Happens, a former RMG employee at its Thunder Bay call centre said that it was her gut instinct that she and her colleagues were "swaying people to not be able to make their correct vote." Jeff Harriettha, a former supervisor with RMG in Thunder Bay, told CBC News that the call centre was hired by the Conservatives during the election, but that inadequate training could be blamed for the misinformation. The party said they hired RMG to help identify Conservative supporters but has denied any knowledge of those misleading phone calls. On its website, RMG describes itself as the "largest direct-contact firm working in the political sector," and says it works "exclusively with right-of-centre campaigns." "For the past 15 years, RMG has helped Canadian conservatives win," the website says. RMG's relationship with Stephen Harper dates back to 2003, when he was the new leader of the Canadian Alliance. The party hired RMG to look after its voter contact work. RMG was already working for the Progressive Conservative party in Ontario. RMG was also involved in Harper's leadership campaign in 2004, following the Alliance-PC merger. The information RMG gathered from its massive telephone campaigns went into the Alliance's and then the Conservative's highly-regarded Constituency Information Management System. 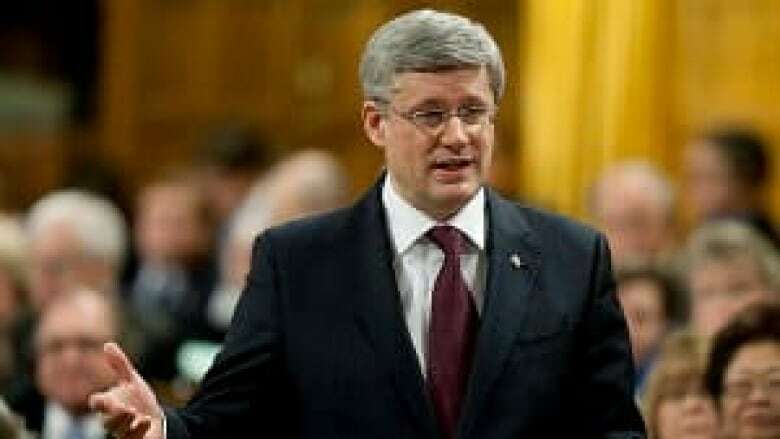 Writing in his book Harper's Team, Tom Flanagan, Harper's former campaign manager, called direct voter contact the party's "most valuable player" in the 2004 federal election, in which the party gained 21 seats. CEO Michael Davis and Andrew Langhorne are two of the key people at RMG. RMG worked on 95 Conservative campaigns during the 2011 election. Four opposition MPs referred to marketing research firm Campaign Research during debate on the controversy during Question Period on Feb. 27. The company has denied involvement in fraudulent election day calls. The company worked on 39 local Conservative campaigns in 2011 and received more than $390,000 for its services. The CBC reported that Campaign Research was behind calls made in November, five months after the election, on behalf of the Conservative Party to voters in Liberal MP Irwin Cotler's Montreal riding, that falsely claimed there would be a byelection because Cotler was stepping down. Campaign Research said that information wasn't in the script it provided to its callers. House of Commons Speaker Andrew Scheer called the Conservative strategy "reprehensible," but ruled the matter was outside his authority. The Marketing Research and Intelligence Association, an industry group, is forming a panel on Campaign Research after the firm was unable to resolve complaints about the calls. Campaign Research is headed by Richard Ciano, president of the Ontario Progressive Conservative Party, and Nick Kouvalis, former chief of staff for Toronto Mayor Rob Ford. Ciano and Kouvalis are credited with engineering Ford's election victory in 2010. Ciano was also a vice-president of the Conservative Party of Canada. Michael Sona's name surfaced in the wake of the Postmedia News report on robocalls in the Guelph riding. 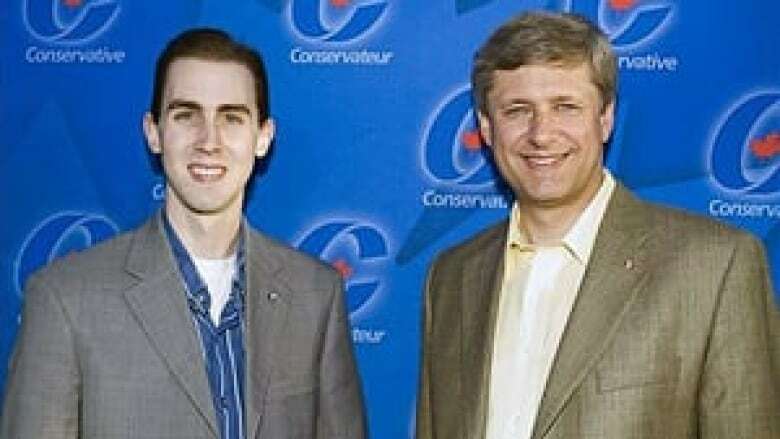 At the time he was director of communications for Conservative Marty Burke's 2011 election campaign in Guelph. He was a staffer for Conservative MP Eve Adams until Feb. 24, when he resigned. In a statement sent to CTV News, Sona says he had "no involvement in the fraudulent phone calls" and that the reason he resigned was because the "rumours" about him made it impossible to fulfill his responsibilities. No evidence has been made public that Sona was involved in the robocalls. In 2011, University of Guelph students alleged that Sona tried to shut down an advance poll on the university campus and tried to grab the ballot box. Burke's campaign denied the allegations. Sona graduated from the University of Guelph in 2010. He has also worked for Conservative MPs Rob Moore and James Moore. Frank Valeriote, the Liberal MP for Guelph, told CBC News after the May 2011 election that the calls made to voters in his riding were "an intentional effort to confuse the electorate and to discourage them from voting." Elections Canada traced the robocalls back to RackNine. Valeriote said more than 70 of his supporters called his campaign office about robocalls telling them to vote at the wrong polling station. Valeriote was re-elected by more than 6,000 votes. During the 2011 campaign, long-time Toronto Liberal MP Joe Volpe asked Elections Canada to formally investigate reports that residents in his Eglinton-Lawrence riding were being harassed by repeated calls from someone with a North Dakota phone number claiming to represent his campaign. "We believe this matter warrants investigation as it appears there may have been an infringement of campaign rules in Canada and/or violation of the Canada Elections Act," his campaign told the chief electoral officer. Volpe lost to the Conservative 's Joe Oliver by more than 4,000 votes. In a Feb. 25 interview on CBC Radio's The House, Bob Rae told host Evan Solomon that Volpe "has affidavits from many people who received phone calls that pretended to be from the Liberal Party but clearly were not." Al Mathews heads the Elections Canada investigation into the misleading robocalls. He is a former RCMP fraud investigator. As an RCMP superintendent, Mathews also investigated former prime minister Brian Mulroney and former privacy commissioner George Radwanski. Mathews has a law degree.